Yay for summer! 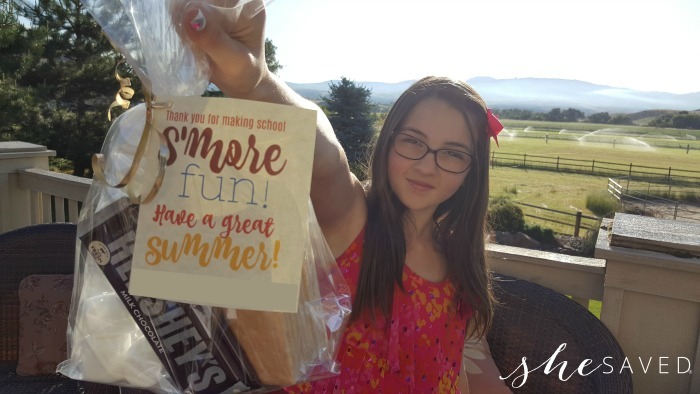 One of our favorite things to do on the last day of school is give out little last day gifts to our favorite friends, teachers and staff at school. 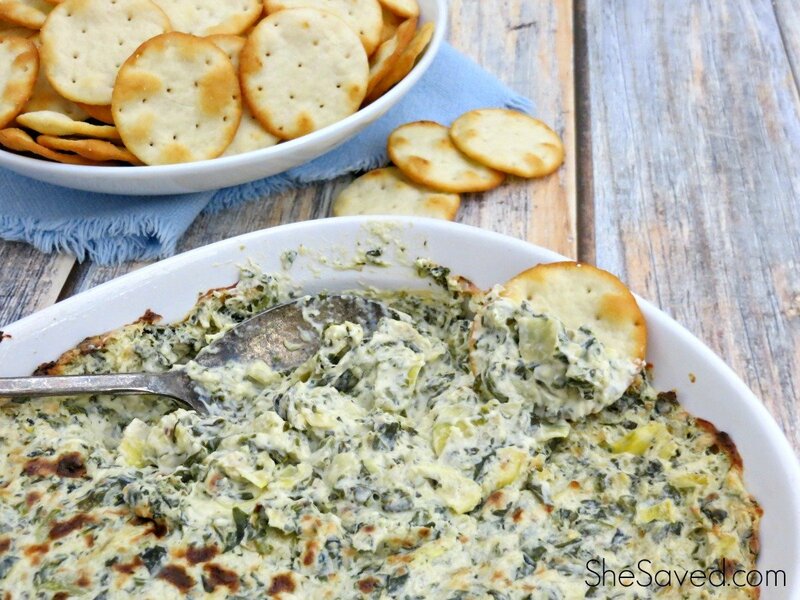 We came up with this easy S’more Fun! 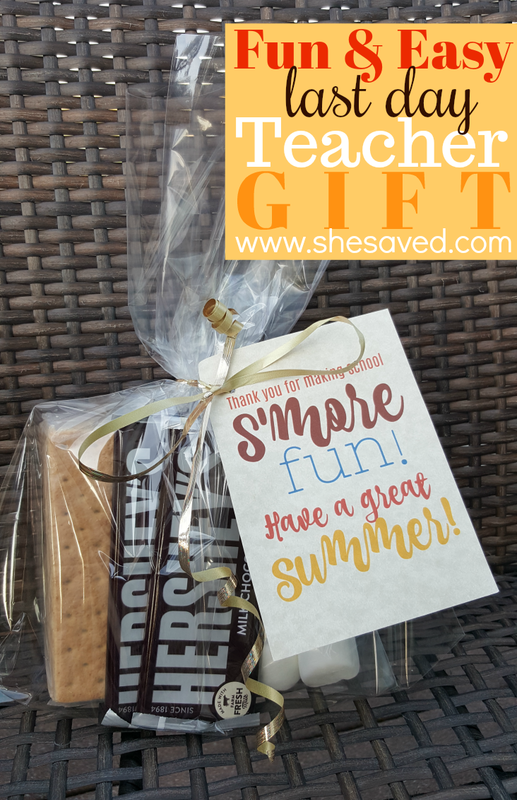 Last Day Teacher gift idea that year and it was a huge hit! 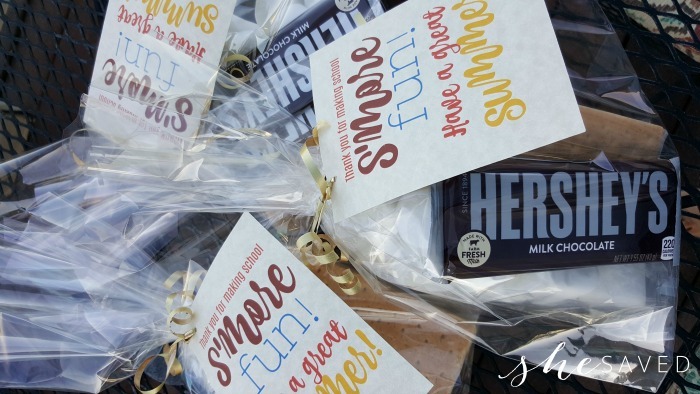 I mean, who doesn’t love S’mores!!? Plus, the kits were really easy to put together and very much appreciated! 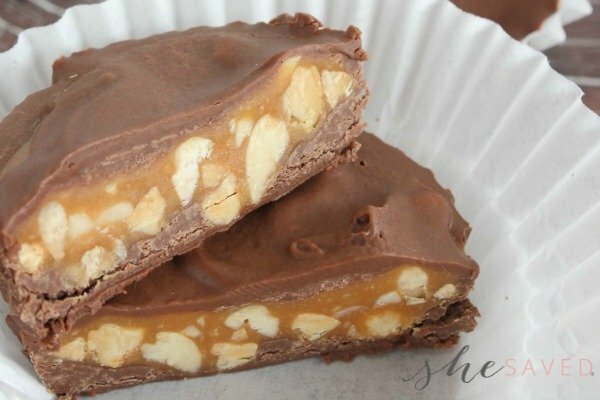 I tried to shop for a bulk deal because we made about 20 of these. 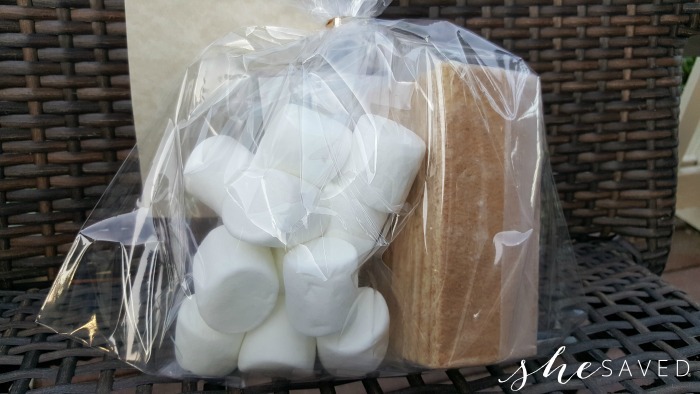 It wasn’t too spendy because we divided up the marshmallows into their own clear plastic bags and gave each person two Hershey bars and one package of graham crackers. 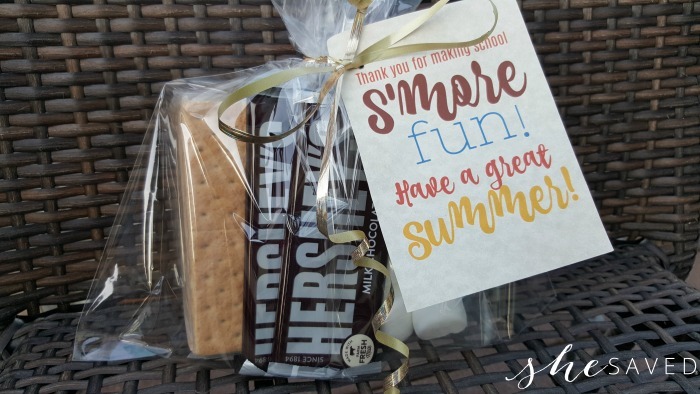 Each bag of marshmallows made four smaller bags, each box of graham crackers had four individual packages of crackers and I purchased the Hershey bars in packs of twelve so lucky me, I had a few left over of those, lol! 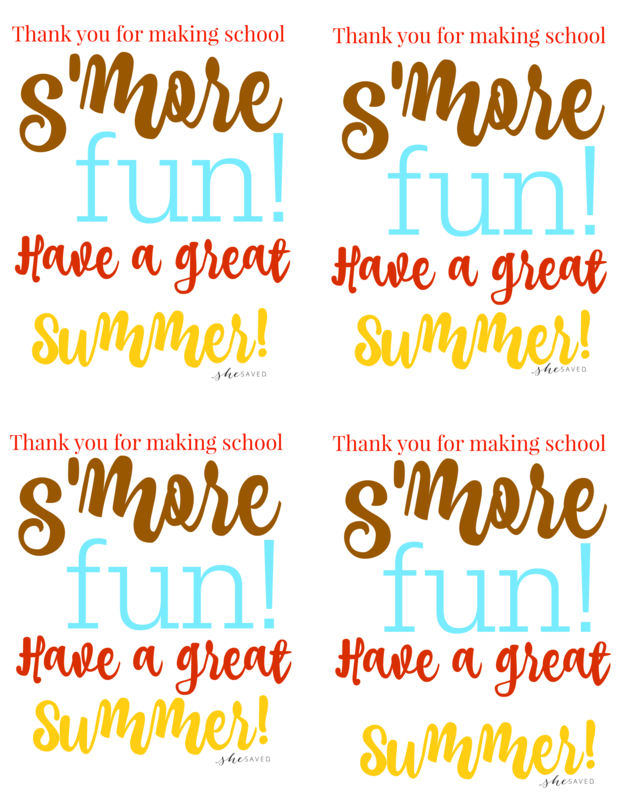 Once you get your packages assembled, then you’ll want to bring off these FREE S’more Fun Thank You Tags to attach to your S’mores bundle! 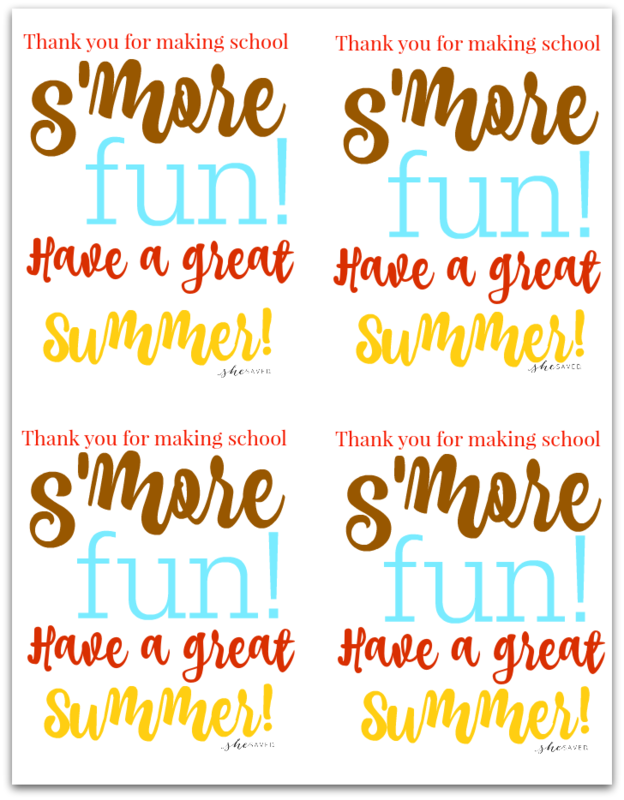 Each printout will have 4 tags for you to cut out and attach. I left a little bit of room at the bottom for kids to sign their names. *Note: depending on your printer you might want to adjust the size. You can select “fit to page” to have them enlarge to full frame so you will have four large tags or if you print them as they are, you will end up with four smaller tags. Aren’t these the cutest!? My kids had so much handing these out last year … we might just do it again this year!